You Could Be the Hero! Check out my monthly column at EnduranceCorner. Celebrating national CPR week, I urged athletes to learn CPR and use of an automatic external defibrillator (AED). We’re all safer if our athlete friends know these lifesaving techniques. In a previous post, “Sudden Death and Cold Weather Marathon,” I talked about the unfortunate death of an athlete who was competing in our local Mississippi Blues Marathon a couple weeks ago. There’s been a lot of discussion in my circle of friends about the man’s death and I’ve gotten many questions such as “Why did he die?” I thought I’d take the opportunity to talk a little bit about sudden cardiac death (SCD) in general, what we’ve learned about treating patients who have sudden death, and what lessons might apply to athletes in particular. Last week, the American Heart Association (AHA) issued a policy statement, published in their journal Circulation, entitled “Regional Systems of Care for Out-of-Hospital Cardiac Arrest.” In the United States, there are approximately 295,000 individuals who suffer out-of-hospital cardiac arrest (OOHCA) each year. Of those, only 7.9% are fortunate to be treated and eventually discharged alive from a hospital. It’s sobering. And because it’s so sobering, the AHA and other organizations devote many resources to improve upon these results. When we say that individuals have suffered OOHCA, we mean that they have developed a fatal arrhythmia (abnormal heart beat) in the heart, usually ventricular tachycardia or ventricular fibrillation (abnormal rhythms of the pumping chambers). With that type of arrhythmia, the heart no longer pumps blood. Within minutes, the vital organs of the body (particularly the brain) begin to suffer irreversible damage. And the only effective treatment is to restore the heart rhythm to normal in a timely fashion. We’ve known for more than 250 years that cardiopulmonary resuscitation (CPR) could be used to help individuals who had suffered cardiac or respiratory arrest. As early as 1740, the Paris Academy of Sciences officially recommended mouth-to-mouth resuscitation for drowning victims. 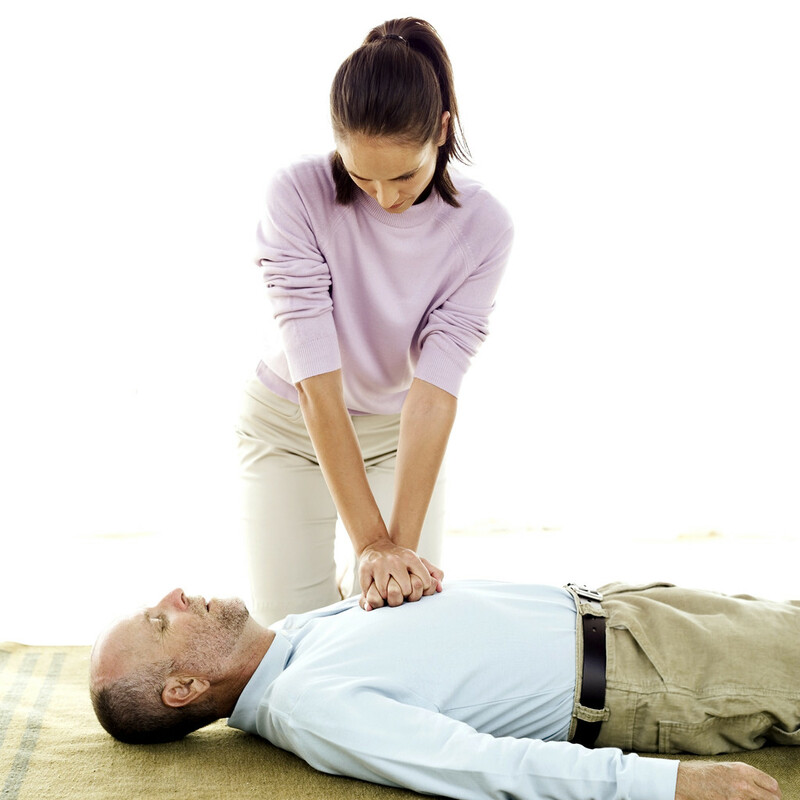 In 1903, Dr. George Crile reported the first successful use of external chest compressions in human resuscitation. In 1963 the AHA endorsed CPR and formed a Committe on CPR chaired by Dr. Leonard Scherlis. And in 1966, the National Research Council of the National Academy of Sciences convened an ad hoc conference on CPR….and led to the recommendation of standardized training and performance standards for CPR (chest compressions and rescue breathing). Beginning in the 1950’s we learned that SCD is typically caused by a fatal arrhythmia and that defibrillation (a shock) could be used to restore the normal heart rhythm. Initially, this was available only in hospitals, but by the 1970’s defibrillation could be provided by emergency medical personnel such as paramedics or emergency medicine technicians (EMTs). Continued advancements in technology have allowed for the development of the automated external defibrillator (AED), a device which can record the heart rhythm, interpret the rhythm, and automatically administer a shock of the appropriate type to try to restore the normal heart rhythm. With the advent of the AED, it has become possible for non-medical people to provide life-saving defibrillation at the scene of a cardiac arrest. As a public health measure, AED’s have been recommended and placed in many locations where SCD might occur with increased frequency….airports and other transportation centers, large shopping malls, sports complexes, large industrial sites, golf courses, gyms/health clubs, community centers, etc. The AHA now sponsors a variety of courses in basic life support, including techniques of CPR and use of the AED. The various courses have target audiences that range from fully trained healthcare providers to entirely non-medical people. Many healthcare organizations require their employees to be trained in basic life support, but most graduates of basic life support training programs are actually non-medical people. We’ve talked a little about SCD in athletes previously here at the blog. Indeed, SCD is the most common cause of death in exercising athletes. And this unfortunate event occurs approximately every 3 days in the United States. Dr. Jonathan Drezner and his colleagues at the University of Washington recently reported an experience in 9 young athletes who suffered sudden cardiac arrest. All 9 had a witnessed collapse and received bystander CPR immediately. A defibrillator was available and used in all 9–within 1.6 minutes when provided by a trainer and within 5.2 minutes when provided by an emergency responder (EMS). Still, only 1 out of 9 athletes who suffered sudden cardiac arrest survived. This experience is typical. In the world of endurance sports for adult participants, the situation is complicated because of the large geographical area over which these events are conducted. A 5K run doesn’t seem so far, but a 26.2 mile marathon or a 140.6 mile Ironman distance triathlon takes the participants far from the immediate reach of medical volunteers or any available AED’s or other defibrillators. 1. Prompt recognition that cardiac arrest has occurred. 4. Early advanced life support provided by the EMS system. All four of these components are necessary in order to save the life of an athlete who suffers cardiac arrest. So….when we look back at the issue of “why” an athlete dies during a marathon, the explanation is often found right here. 1. As a service to your fellow athletes and community as a whole, learn CPR. Contact the AHA and find an appropriate course in your area. 2. Take the time to check at your local schools and at your local fitness centers to be sure that an AED is available and that on-site personnel are trained in CPR and the use of the AED. These folks may someday be needed to save your life or the life of your child. 3. If you’re involved in the planning of endurance sporting events or organized training sessions for endurance athletes, take the time to develop an emergency response plan. Don’t be caught off-guard if sudden cardiac arrest occurs.